The historic preservation society of south Pittsburg, TN has assembled a great collection of over 230 Lodge cast iron recipes. A wonderful book on how to cook with any type cast iron cookware! When you are at camp, Dutch oven cooking is an awesome way to prepare delicious meals. Lodge's collection of accessories - handle holders, brushes, scrapers, and many more. This set includes all the essentials for using and caring for your cast iron cookware. Pan scraper features assorted angles to get into all nooks and crannies. The Scrub Brush features a plastic head and stiff nylon bristles to preserve your cookware's finish. Seasoning Spray protects cookware and enhances finish. 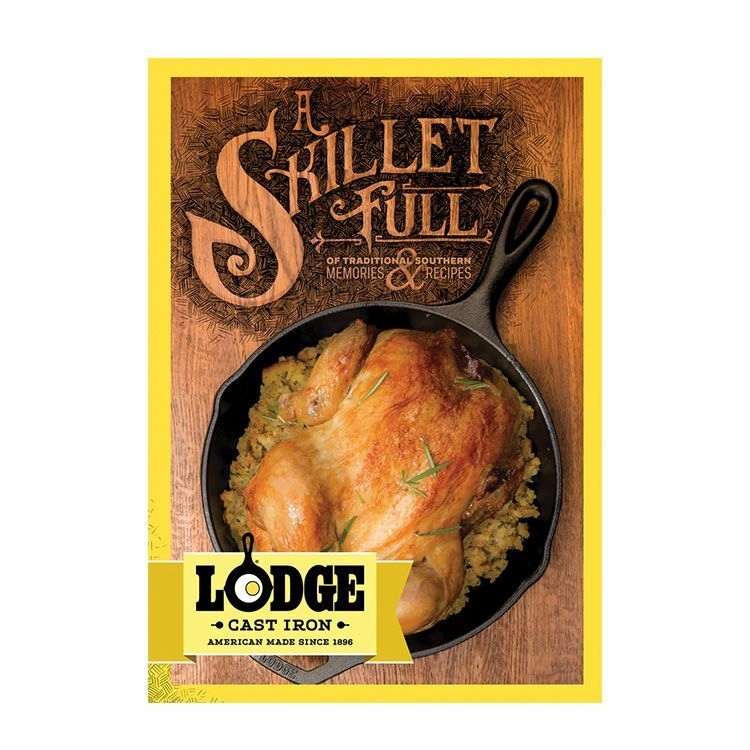 With The Lodge Cast Iron Cookbook, every cook will learn the simple, savory secrets of cast-iron cookery. From the kitchens of Lodge, America's leading manufacturer of cast iron cookware, this unique cookbook offers over 200 mouthwatering recipes. Winning Recipes introduces you to traditional corn breads and creative main dishesfeaturing winners from the annual National Cornbread Cook-Off, sponsored by Martha White. and Lodge Cast Iron. Cookbook: A Skillet Full Of Traditional Southern Cast Iron Recipes & Memories The historic preservation society of south Pittsburg, TN has assembled a great collection of over 230 Lodge cast iron recipes.